Technetium (Tc) is a silver-gray radioactive metallic element in group VIIB of the periodic table; a transition element. Technetium does not occur naturally on Earth. It was first made in 1937 by Emilio Segré and Carlo Perrier in bombarded molybdenum – the first element to be produced artificially. 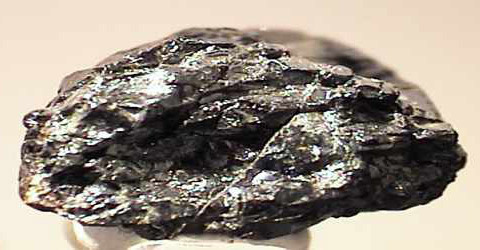 It is now recovered from the fission products of uranium in nuclear reactors and is used in radioactive tracer studies. Technetium is chemically very like rhenium. There are 16 known isotopes, the most stable of which is 99Tc (half-life 2.6 million years). A technetium star is a star whose spectrum reveals the presence of the element technetium. The first such stars were discovered in 1952 and provided the first direct evidence for stellar nucleosynthesis – the manufacture of heavier elements from lighter ones in stellar interiors. Because the most stable isotopes of technetium have half-lives of only a few million years, the only way this element could be present inside stars is if it had made there in the relatively recent past. Technetium is observed in some M stars, MS stars, MC stars, S stars, and C stars.